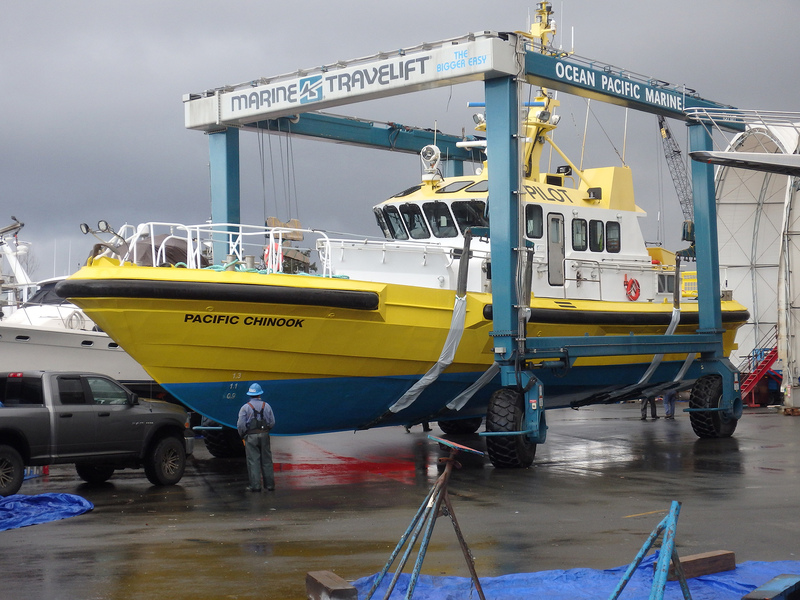 The Pacific Chinook is owned by Pacific Pilotage and operates out of Port Hardy, BC. 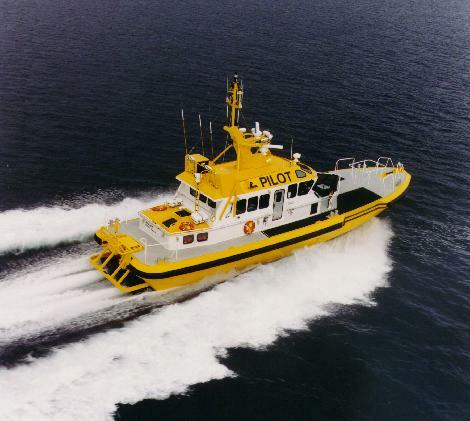 This vessel was built for the purpose of transferring Marine Pilots on and off international vessels. Marine Pilots are highly experienced vessel operators with detailed knowledge of local waters. 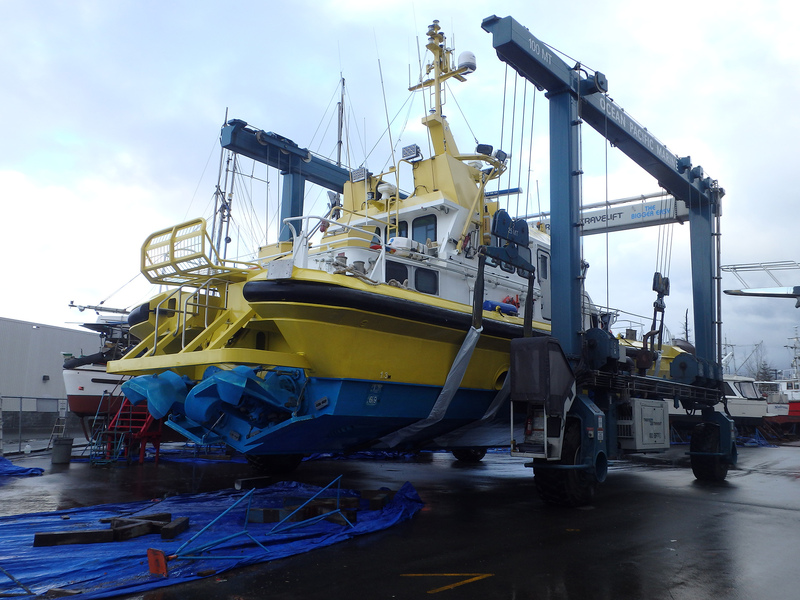 They are delivered to and from international vessels as they enter or depart local waters to assist in navigation. The Pacific Chinook was built to be able to right itself when rolled upside-down in rough seas. 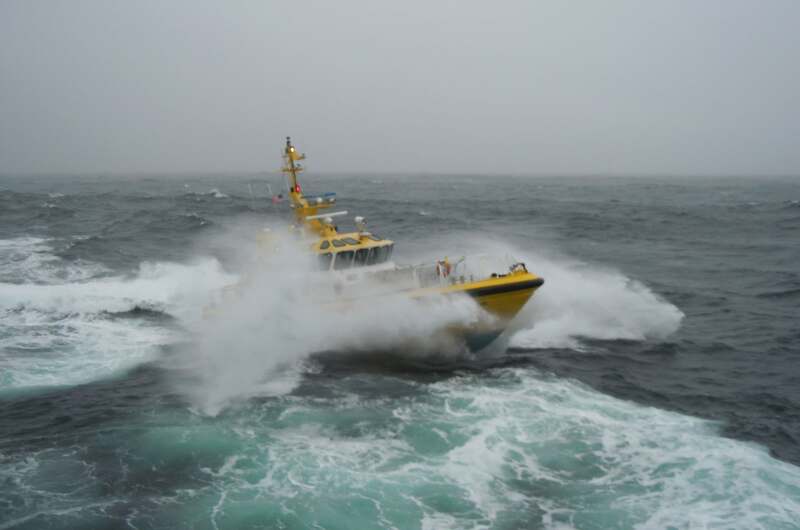 This feature is necessary as pilot boats must be able to operate in all weather conditions. 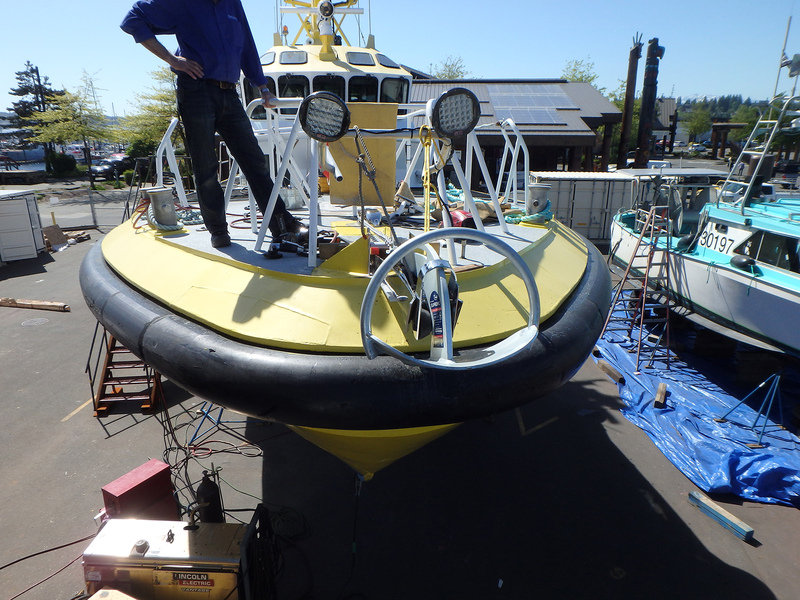 Ocean Pacific Crew made modifications to the vessels water tight bulkheads, added an anchor winch and anchor locker as well as facilitating a Transport Canada inspection. Two HamiltonJet Drives propel the vessel. Mark, our boatyard manager overseeing the installation of the new Anchor winch.